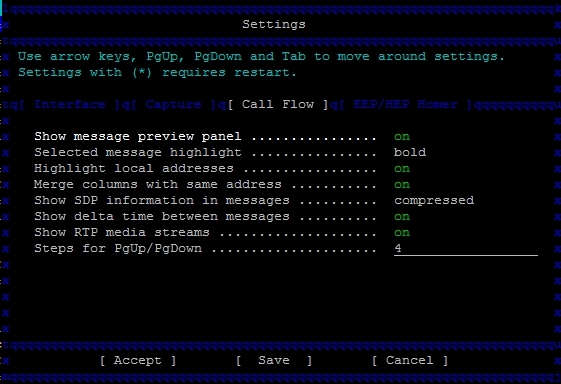 Method: Type of SIP message column. SIP From: SIP message From column. SIP To: SIP message To column. Msgs: Numerical amount of messages column. Source: Source IP and port number column. Destination: Destination IP and port number column. Call State: Call identifier column. ESC Quit: escape and quit sngrep. Enter: Show more information about the highlighted line item. Space: After pressing the spacebar, the line is selected. With this you can select multiple lines and can be used with the F2 save option. F1 Help: Gives a help menu. 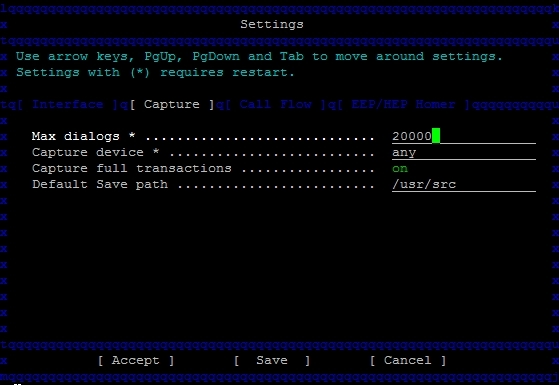 F2 Save: Option to save the current capture session dialogs to a .pcap or .txt to a specific path and file name. F3 Search: Gives the option to search in a more specific and granular way. F4 Extended: Gives an extended view. F5 Clear: Clear the screen. F7 Filter: Like search but with more options to filter the end result. 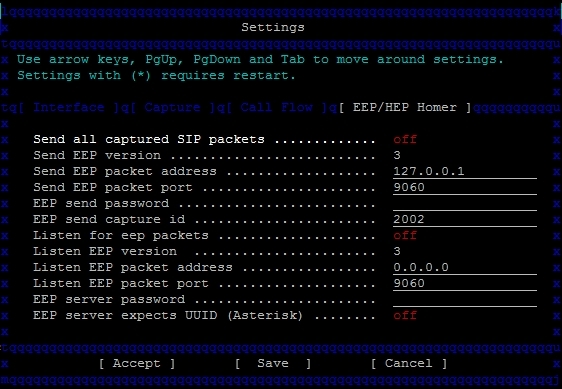 F8 Settings: Adjust SNGREP settings interface, capture options, call flow options, and EEP/HEP Homer options. 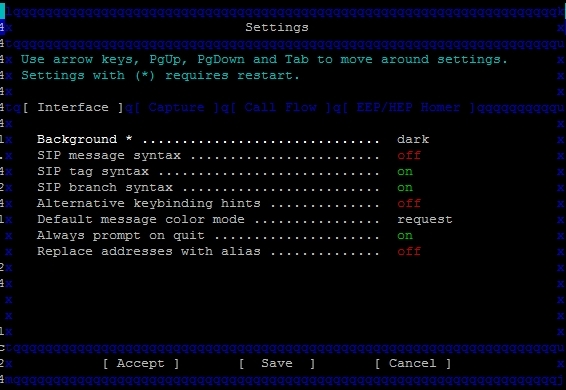 F10: Adjust what columns are displayed on the open sngrep window. User-Agent: Most spam attempts will show an unwanted User-Agent like what is shown in this example.